Fun! Fast! Exciting! Agility is a fun dog sport where you handle and race with your dog through different obstacles like tunnels, jumps, teeter totters, ramps and more! 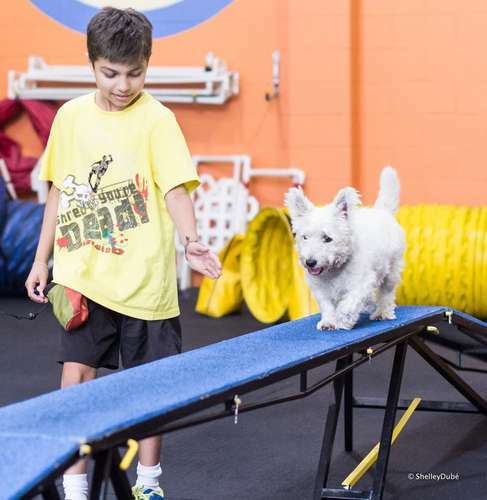 This August, DOGSmart Training is running one week agility camps for kids 10 to 16 years old. During this fun camp, you will have the opportunity to learn about agility, introduce your dog to various equipment and play other dog games together!